Emily and her family quite possibly take the most beautiful pictures of ranching. She consistently shares their transition into ag on Instagram. You can see the love they have of the land, their longhorns and sharing the experience with their friends and family. Emily inspires us, and lets us see through her social posts, just how fun it is as they make ag their own. Ag is definitely something new to us! We purchased our ranch in November of 2016, so we are about a year and a half in. Ranch- Dave and the guys are always maintaining, planting, cultivating, cutting back, reworking SOMEthing to make the most of this special land we’ve been blessed with! It would have to be when we first got our longhorns! We started with five and really came into it rather cluelessly, Dave, of course, did a lot of research, and we have incredible mentors, Mike and Pam Crawford of Red Peak Ranch. I will never forget when they unloaded them from the trailer; it was surreal to see these magnificent creatures on our property. It took many hours and days of just sitting with them before they warmed up to us. I appreciate how careful they are. Reaching the point where we built their trust enough for them to eat from our hands felt so rewarding and special. I can’t get enough of them! Sitting in the middle of a pasture and just observing them is my absolute favorite thing to do! As I said, this is completely new to me, so I am inspired by HOW MUCH there is to learn and how many of the people who help Dave and me maintain this property have this innate understanding of and appreciation for nature, land, equipment, seasons, etc., etc.!!! I am awed by and envious of that. 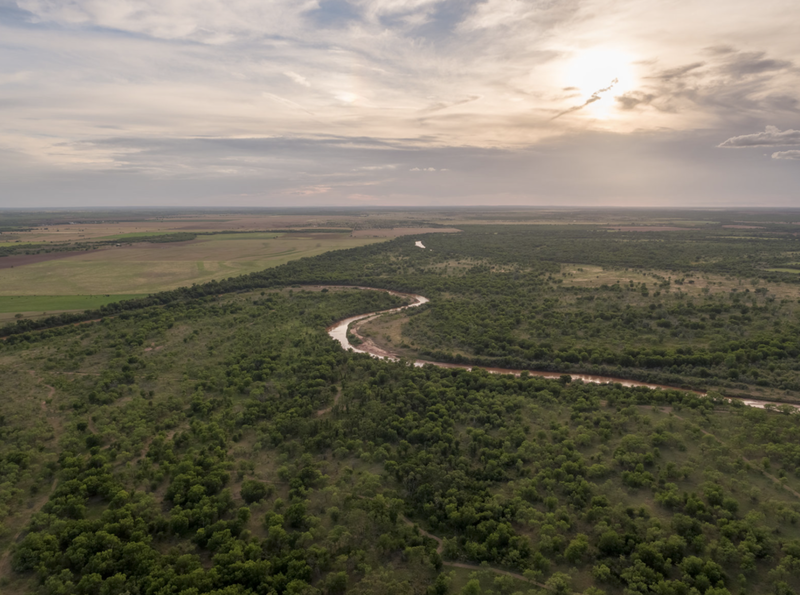 Secondly, I’m inspired by the way the ranch and the beauty of this unique landscape have brought our families and friends together and bonded us in a new and powerful way. Most of all, when I am at 18:33 Ranch, I am moved by and reminded of how powerful and perfect our God is! Witnessing how perfectly intertwined, intricate, and designed this small piece of nature we “have” is, as well as witnessing the spectacular beauty of the sunsets/rises, changing landscapes of the seasons, wildlife, river, etc. continue to bless and humble us and our children. 5. How do you agvocate (social media, memberships, networks, alumni groups, young farmers groups, boards etc.)? Mainly social media! I’m sure Dave has bigger plans, but, for now, we have so many friends and family ask to see more pics of 18:33 and the longhorns. Instagram has become our source for sharing all of this and a way for others to get a dose of it until they are able to visit and experience this little piece of (what we feel like is) heaven in person!